This past Saturday was one of my favorite holidays, Dia de Muertos (I grew up saying Dia de los Muertos, so we'll go with that, I know it's probably wrong). Or as we English speakers call it, Day of the Dead. It's a Mexican holiday when families gather together to remember and pray for the dead. It also "happens" to be a Catholic feast day (All Saint's Day) and I used to get out of school on November 1st to go to mass with my mom. I don't even think she minded that I was using church to not go to school, ha! Anyway, I've always been drawn to Dia de los Muertos and think it's a glorious holiday! There is some amazing art associated with this holiday and some of my favorite comes from a friend of mine and Blake's (although I've only met her via Instagram), Amanda Valdes. Amanda is an artist from Florrrrrrida (the rolled r is absolutely necessary) who has some of the most unique works of art I've seen in a long time. All of Amanda's work is a wonderful mix of color, life, and a little bit of darkness. Everything she does i shrouded in a macabre feeling reminiscent of a Tim Burton movie. 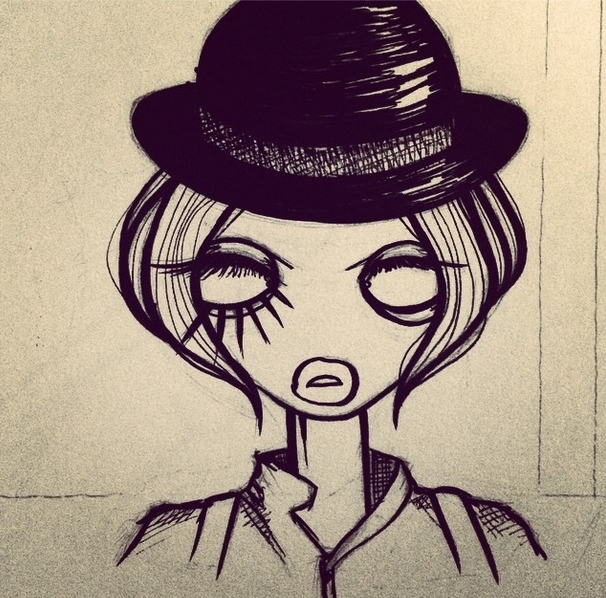 It's whimsical and creepy and beautiful but with rough edges (which is how I like almost everything). I'm doing a terrible job of describing it, so I'll let you take a look for yourself. 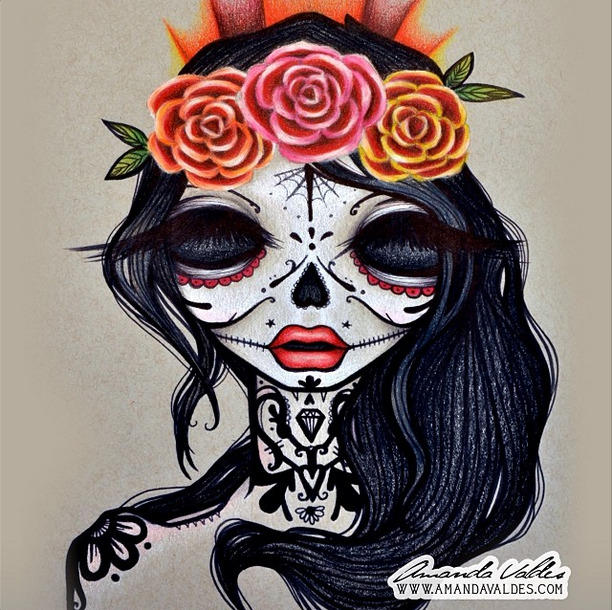 I'm deeply in love with all her Dia de Los Muertos calaveras (aka sugar skulls). And this beauty below is my absolute favorite! 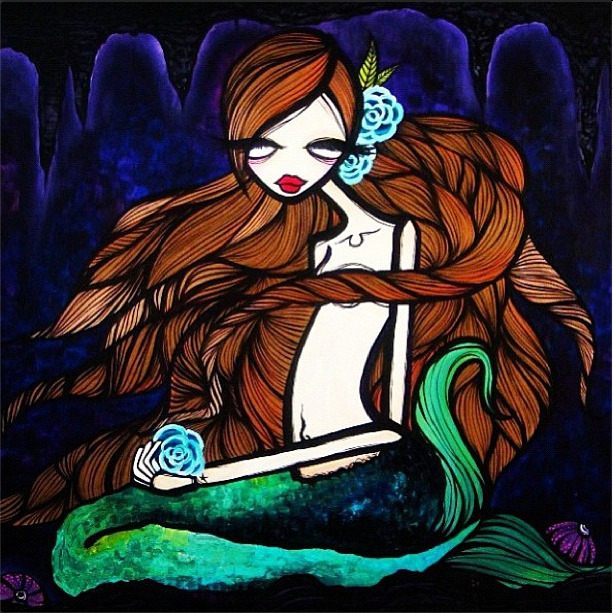 She also has some amazing mermaid pieces that I want to put all over my walls. I love mermaids and these ain't no Ariels (although she has some Little Mermaid inspired pieces too). And although I didn't get this post done in time for Halloween, Amanda's Halloween themed pieces are particularly amazing. I'm not sure how she does it, but no one marries creepiness and sensuality quite like Amanda. The best thing about Amanda is she's all over Instagram and Twitter so you don't even have to leave the comfort of your smartphone to see her amazing work, although I can't wait to get down to Florida and see some of her murals! In the mean time, I may just have to treat myself to some of her merchandise. 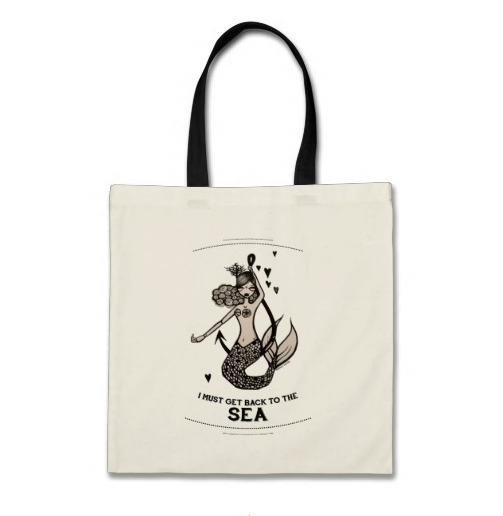 I might need to make this tote part of my existence. 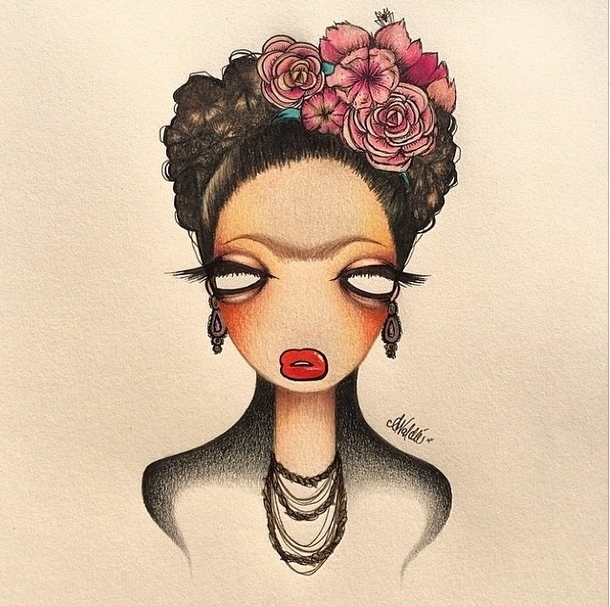 Check her out on Instagram (@amandalvaldes) and on Twitter (@AmandaValdes), you wont regret it!